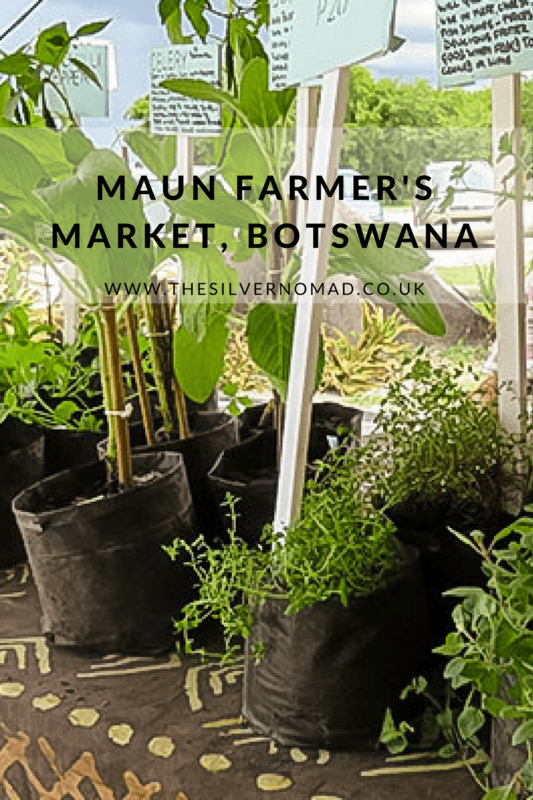 After visiting Kelso Farmers Market in Scotland in February, this month I am in Maun in Botswana housesitting and popped along to the local monthly Farmers Market which is held on the last Sunday of every month at Motsana from 9.00am until around 12pm. 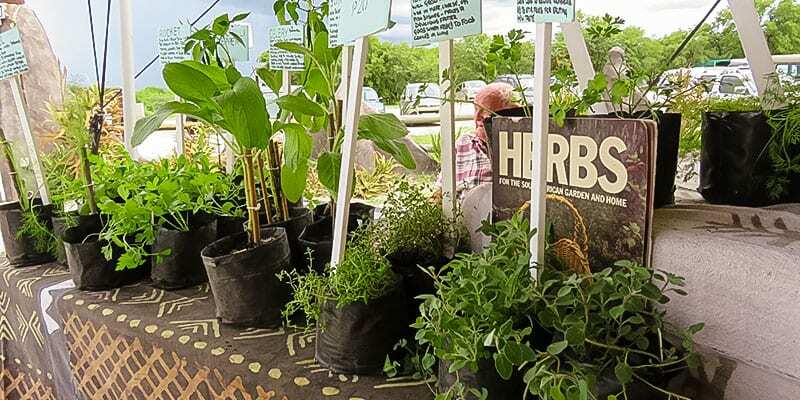 I love fresh herbs when I cook, and if I was living in Maun, I would definitely come to Angie for herbs. She has a good range including sage, dill, chilli, thyme, oregano, celery, rocket, parsley and borage with its beautiful blue flowers. Angie has been a stall holder since the farmers market started 7 years ago and she is very knowledgeable about herbs and cultivation. See her every Farmer’s Market. It was the first time at the Farmer’s Market for Theresa and her beautiful and colourful range of hessian cushions, runners and candleholders. 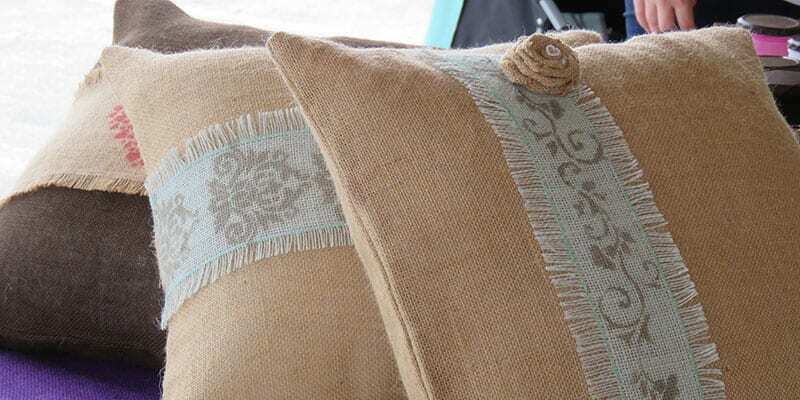 The cushions are beautifully stitched with delicate toning band which have been stamped and frayed. The runners are in browns, reds, blues and white again with fraying and toning stamping. We wish Theresa well with her new venture and two of her cushion covers (the ones in the photos with the hessian flowers) are on their way home with us! This brightly coloured stall caught my attention. 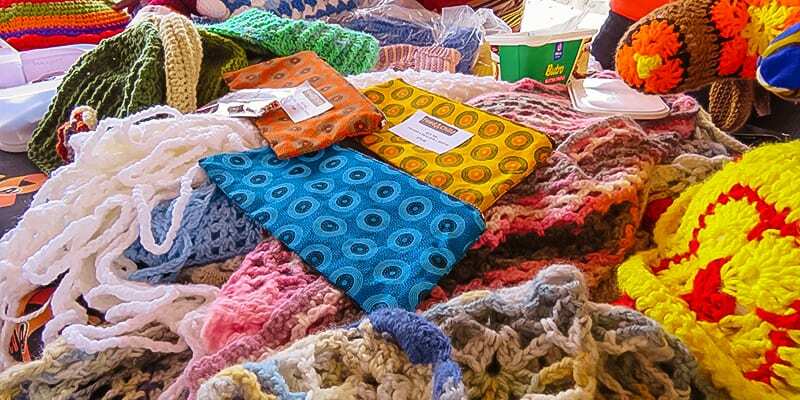 Covered in beautifully crocheted items including a wonderful orange, yellow and brown giraffe and a very attractive white, blue and yellow rhino, as well as pencil cases, bracelets and earrings, the stall was not what you normally see at a Farmers Market. The stall was run by Lorraine who is one of the volunteers at Feed-a-Child, a Botswana based charity that aims to help communities to provide a nourishing meal to underprivileged children. Each meal costs 2.5 pula (the equivalent of about 20p). The crocheting is done by the local community to help raise money for the project. A very worthwhile and inspiring cause and one that I will be supporting. Have a look at the Feed a Child Facebook Page for more information. 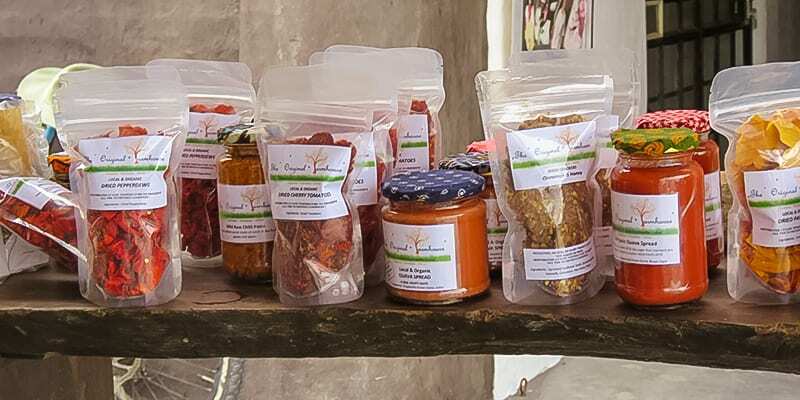 Marina and Dave’s colourful stall is filled with organic produce, delicious bread, preserves and dehydrated vegetables all made on their permaculture farm about 375km from Maun. They make the monthly trip to the market but have also started weekly deliveries to Maun on a Monday Morning. Contact on their The Original Farmhouse Facebook page. There is also a Bric-a-Brac stall and second-hand clothes stall with loads of bargains to rummage through. Of course, when you have had enough buying you can always sample Motsana’s legendary breakfast buffet or some of their scrumptious cakes! The market is on every last Sunday of every month at from 9.00 to 1.30pm. 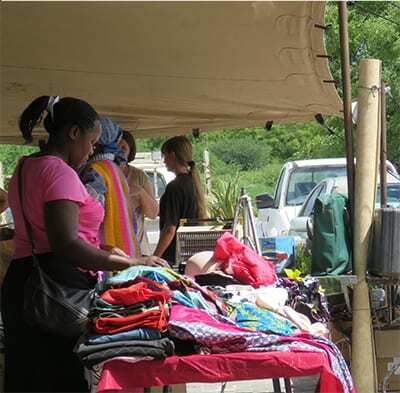 Check out the Maun Farmer’s Market at Motsana on Facebook for upcoming dates. The next markets are Sunday 29th April, then 27th May. Have you been to a Farmers Market in a foreign country? Were they selling anything unusual? We’d love to hear from you!